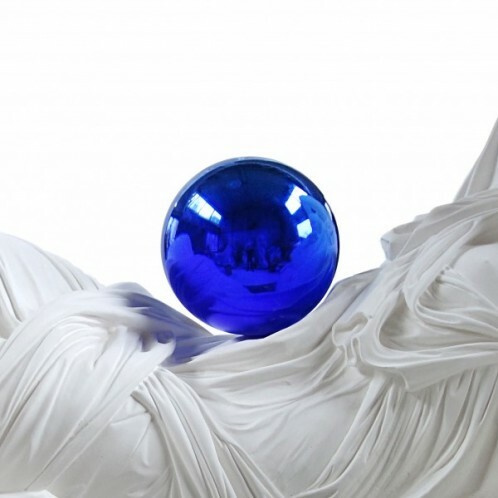 David Zwirner proudly presents Gazing Ball, the gallery’s inaugural exhibition with Jeff Koons. Gazing Ball takes its name from the mirrored spherical ornaments frequently found on lawns, gardens, and patios around Koons’s childhood home in Pennsylvania. Their unique visual qualities allow viewers to see around corners while absorbing them and their entire surroundings within one image. Koons has made use of highly reflective curved surfaces in his sculptures from the mid-1980s onwards, and the gazing balls can be seen to echo the consummate attention to detail and materiality found throughout his oeuvre.